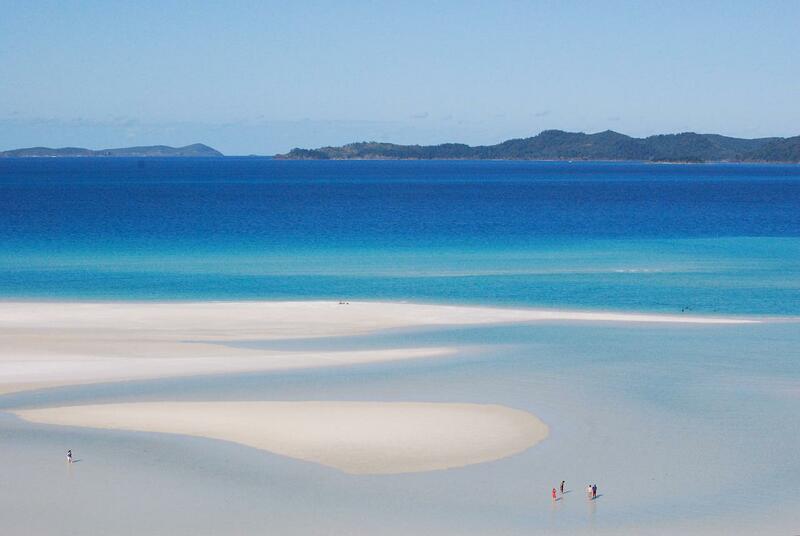 Looking for the perfect honeymoon spot or just a relaxing and romantic weekend getaway in sunny Queensland? Here are the top 6 romantic retreats. 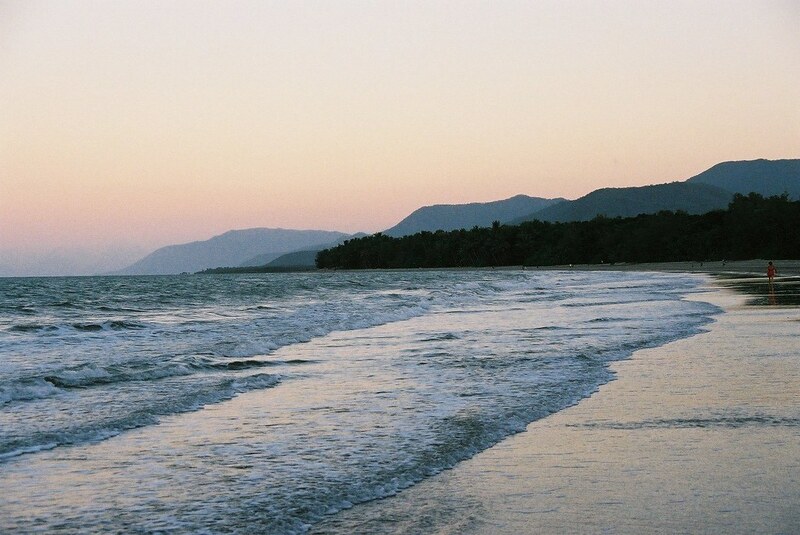 Port Douglas is Australia’s most preferred honeymoon spot and it’s easy to see why. Famous for its beach resorts, like the Shantara resort, it’s the perfect base for you and your significant other to visit the Great Barrier Reef and Daintree National Park. Or simply sit back and relax on the pool deck or in your own Jacuzzi in your private courtyard. If you’re not up for booking a honeymoon room at the Shantara Resort, you can still enjoy the courtyard’s two lagoon style swimming pools that encircle the apartment courtyard. They even boast a day spa so that you and your partner can truly unwind and relax. If you’re more interested in checking out the inner city than Queensland’s superb national parks, tuck yourself away at Spicers Balfour Hotel in trendy New Farm. The velvety and lux retro-fitted hotel rooms are the perfect cosy nook to relax in after a long day of city living. Unwind in the large bathtubs and then check out the cool rooftop bar to grab a before dinner cocktail, before heading to the Balfour Kitchen. The Hinterland is perhaps the Sunshine Coast’s most romantic spot and the Narrows Escape Rainforest Retreat was designed to up the romance even more. Six secluded stays are spread across two hectares of rainforest in Montville in the Blackall Range. Each hideaway has its own double spa bath, saltwater rock pool and log fire for those cold nights. If you and your partner are really looking to treat yourselves then you can’t go wrong with the Tarzan and Jane package which includes three days and two nights of champagne, chocolates, fine dining and massages. Misty Mountains Rainforest Retreat is a luxurious eco-resort perfect for some serious romance, as it’s exclusive to one couple at a time. Hidden away on a private 200 acre tropical resort, Misty Mountains is the perfect getaway for couples wanting some serious alone time. 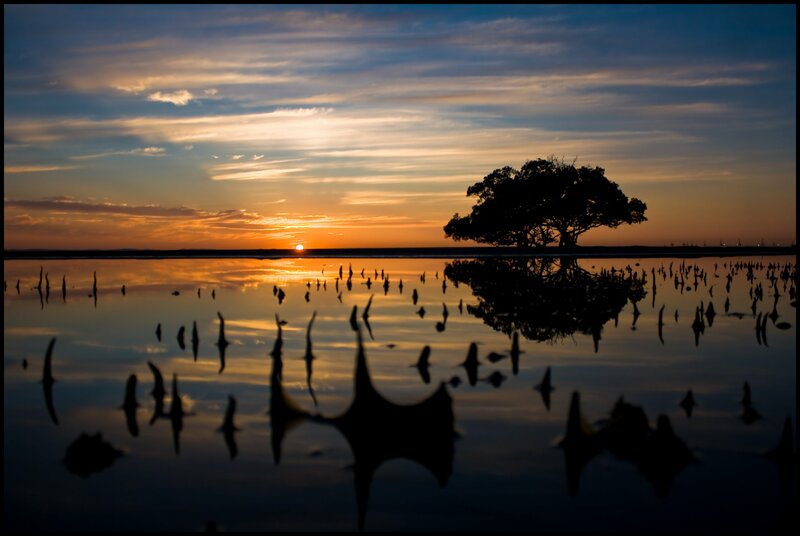 The retreat is set among botanic gardens and an expansive natural lagoon. The resort has everything you’ll need for a luxury stay away including exclusive glass bar and lounge with pool table. Qualia is a first class luxury resort situated on spectacular Hamilton Island. Situated on the edge of the Great Barrier Reef the resort is sun-drenched throughout and you’ll get your pick of 60 individual pavilions with breathtaking views. The retreat boasts two bars and restaurants, a library and fitness centre as well as two swimming pools. Enjoy a full breakfast and complimentary non-alcoholic beverages. Bedarra Island villa is the perfect secluded retreat for a romantic getaway or honeymoon. The villa is a tropical paradise situated on a white sandy beach and framed by palm trees. Located on Australia’s famous Great Barrier Reef, it’s the perfect spot to relax and get back to nature with your partner. The villa is by the water’s edge on a two acre private estate. Enjoy a swim and snorkel with your partner or go kayaking before taking an outdoor shower and heading in and putting on the fire. Australia’s Sunshine Coast ain’t called the Sunshine Coast for no reason. I don’t know about you, but just by hearing its name, I can already picture the golden sunshine, the glistening beaches, the luscious parks, and the picturesque surroundings. This is what makes the Sunshine Coast one of the best spots to take a selfie; and today we are discussing some of the places where you can go crazy with your camera. If you are a kid at heart or you just love taking pictures with mascots and rides, then you will love this one. There is no entrance fee, anyone has access to come in and take selfies and pictures. It is one of the longest running family attractions in the Sunshine Coast, and one that offers featured tours, relaxed rides, great food, fun rides, a lovely garden. Snap pictures while riding Moreton, a 100-year old cane train that will show you around the park. Take a selfie with sharks and different kinds of fish – without even having to get wet. 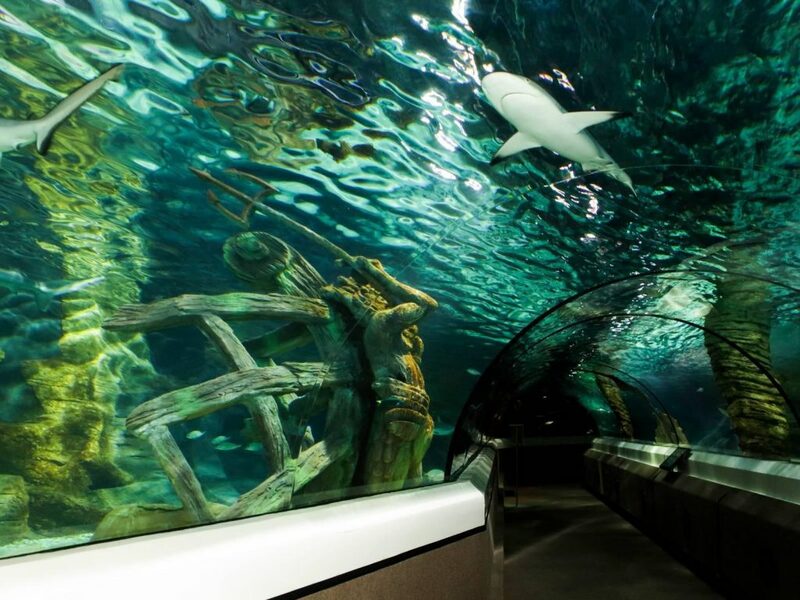 Marvel at the beautiful creatures above you by walking along the sea life aquarium. 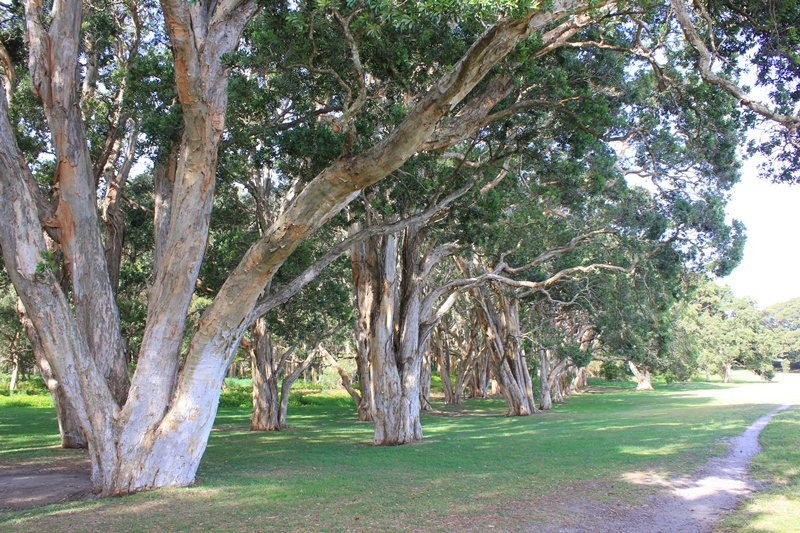 The park has been around since 1989, and is a staple attraction in the Sunshine Coast for years now. Take a picture with the reef creatures and the jellyfish without having to get into the water! You can also take snaps of the otter presentation and the ever famous seal show. This might just be how paradise looks like, and you can now take selfies with it as your background. The Maleny Botanic Gardens is full of colourful flowers and a lush, green backdrop that is perfect for taking photos. You can even spot some bodies of water here such as waterfalls and ponds, which will look very interesting in pictures! The beauty is beyond belief, and everybody would think that you photoshopped yourself into it, but hey, as long as you have got proof, they can’t faze you! Of course, we have to include this one on the list! 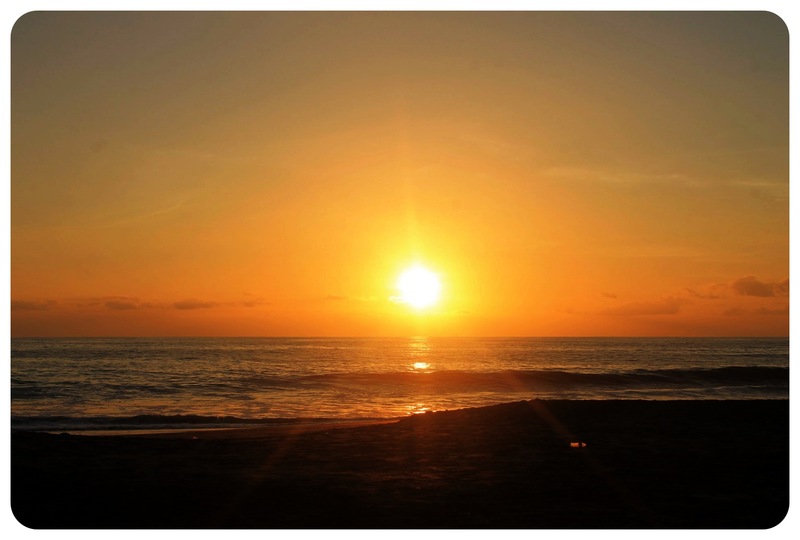 Wait for the sun to rise or to set, and enjoy a selfie with a picturesque view behind you. 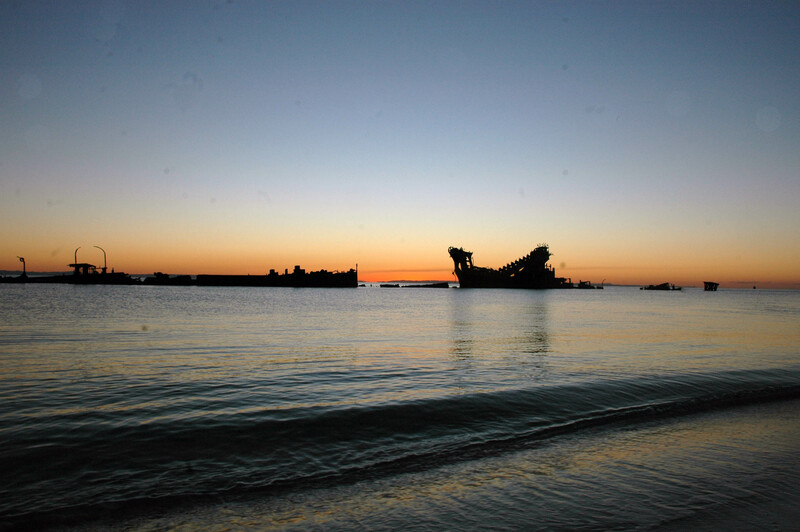 The water is crystal clear and the sand is so fine, you would want to take a snap of every minute of your stay there. You can even spot some dolphins if you’re lucky, and you can take a snap with them in the background if you are even luckier! 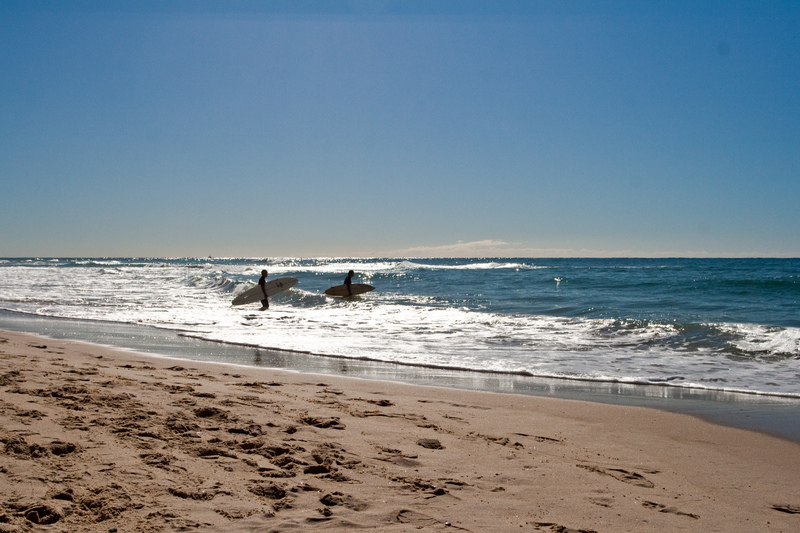 Surfers are also always present in the area, so you can either take a dip or enjoy surfing in Noosa Beach. These are just a few of Sunshine Coast’s wonderful locations to take selfies. 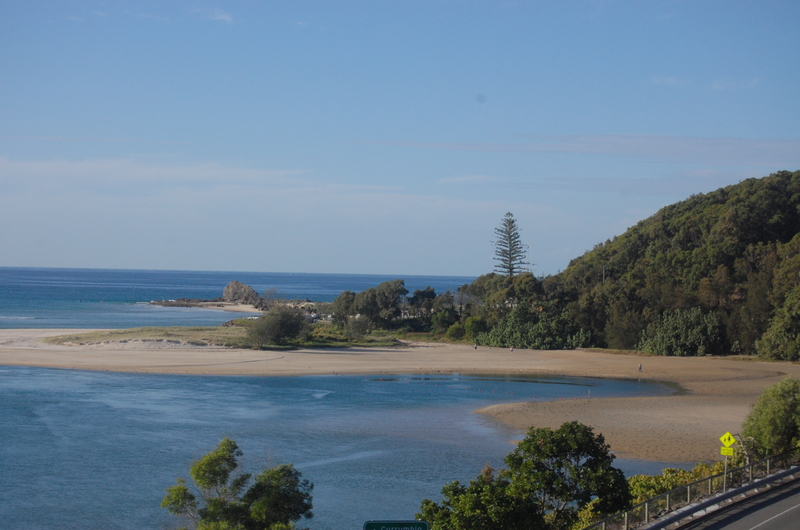 If you really want to enjoy the full beauty of the region, be sure rent a car in Sunshine Coast for comfort and convenience. There’s so much to do and so many places to see that driving a car is the best way to get around. See you at Sunshine Coast, have lots of fun and take tons of pictures! The tram is one of Melbourne’s most iconic sights and can’t be missed on a visit to the city. The City Circle Tram can be taken for free – it goes in a 30 minute circuit and you can get on and off where and how often you like. Just look out for the gold and burgundy colored tram and hop on wherever you see it. NVG International is one of Australia’s best art museums and you will find a comprehensive collection (over 73,000 works of art!) of ancient Egyptian and Roman art, Asian exhibits and classic Renaissance and Baroque pieces. You’ll find works by Rembrandt, Cezannes and other great masters here, as well as contemporary art, for example by Picasso, and paintings include Rembrandt and Cezanne. Opening times: Wednesday to Sunday 10am to 5pm. The RAAF museum has a huge display of old air crafts. Its aim is to educate about Australia’s wars and it is located in a military base, the RAAF Williams. There are also flying displays held every Tuesday, Thursday and Sunday at 1pm. The Ian Potter Centre consists of over 20 galleries with artwork that present the history of Australian art, including drawings, decorative arts, fashion and also photography. 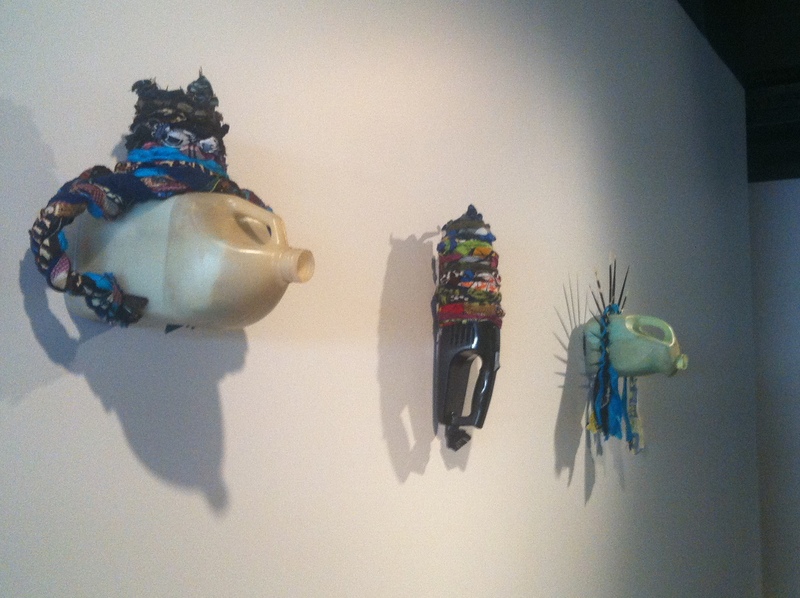 There are also some galleries that are entirely dedicated to Aboriginal and Torres Strait Island art. Opening times: Daily from 10am to 5pm. Here you find a fantastic collection of contemporary art including video and photography, sculpture, sound, movement and electronic imaging – an excellent contemporary art museum. Opening times: Tuesday to Sunday from 11am to 6pm. This is the first museum of its kind in the whole world, and is dedicated to the moving image. This ranges from cinema to digital media, and there are two multi-format cinemas. There are always changing exhibitions and movie and art installations – a fascinating museum not only for cinema buffs. Opening times: Daily from 10am to 5pm / 6pm on weekends. Melbourne is a relatively walkable city and especially the narrow lanes in the business district are great to be explored on foot. There are lots of street cafes where you can sit down and watch the world go by while having a delicious cappuccino. 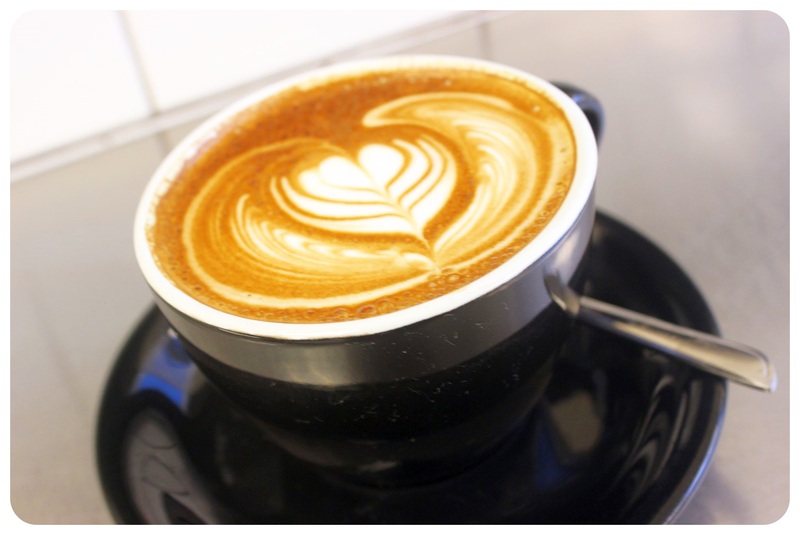 Check out the self-guided coffee walk I recommend in this article. 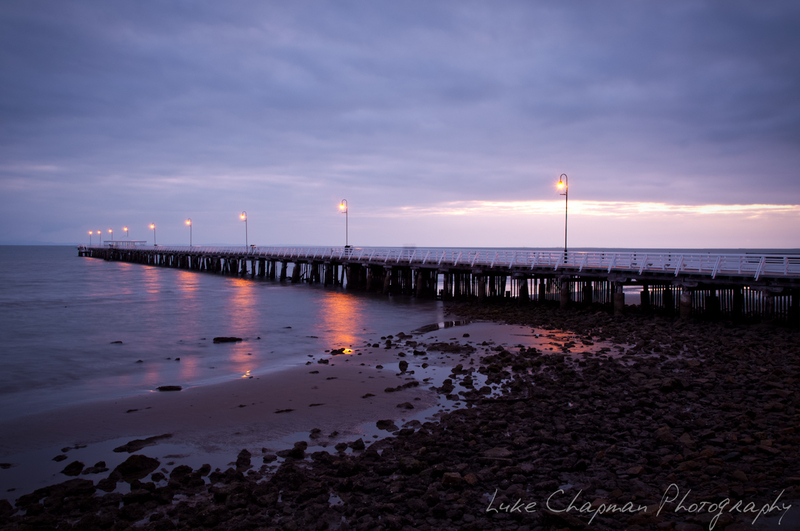 You can also walk the Bay Trail, which starts at St Kilda Pier, continues through the lovely Achland street cafés, passes through Luna Park and the St Kilda Marina. The path finally ends in Brighton, and you will pass several parks, cafes and restaurants on your way. It takes about 2 hours to walk and by walking it, you get to experience the closest beach to Melbourne in St Kilda. I get it, not everyone loves walking as much as I do. If you prefer a tour, then the Melbourne City Tourist Shuttle is perfect for you. It runs every thirty minutes between 9.30am and 4.30pm and stops at all of Melbourne’s major attractions, such as Federation Square, Queen Victoria Market and Chinatown. If you don’t want to get off but simply enjoy the sights from a window seats – the full circle takes around 90 minutes and covers sight beyond the loop of the Circle Tram which only covers the Central Business District (CBD). The on-board commentary provides interesting information about all the landmarks you pass, plus some trivia about Melbourne. Queen Victoria Market is Melbourne’s most famous market, and you can get anything from fresh produce, fruits and vegetables to pets, plants and clothes here. There are over 1,000 market traders and the market covers seven hectares – you can easily spend a few hours strolling through the market stalls. Market days are: Tuesday and Thursday from 6am-2pm, Friday from 6am to 6pm, Saturday from 6am to 3pm and Sunday from 9am to 4pm. Other markets that are worth a visit are South Melbourne Market (Market days: Wednesday to Sunday), Camberwell Market (flea market, every Sunday), St Andrew’s Market which takes place on Saturday mornings in St Andrews, Rose Street Artists Market in Fitzroy, and Prahran Market, which takes place on Saturdays. 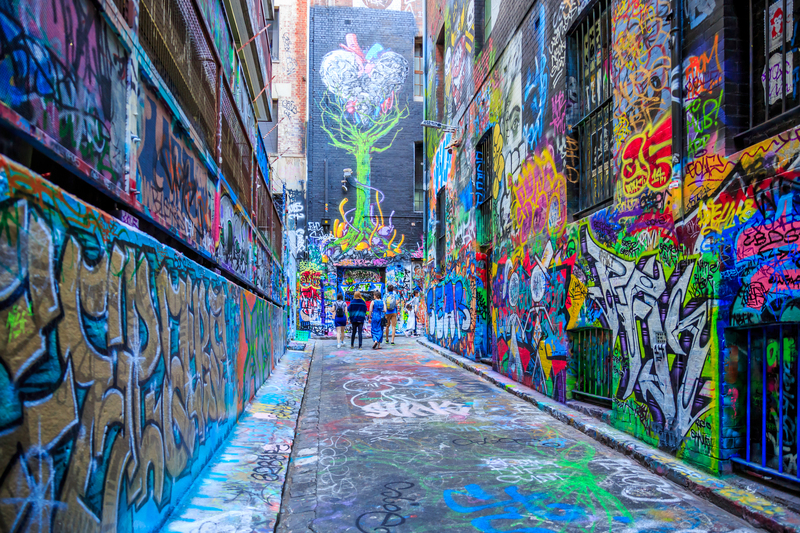 The maze of laneways are one the things that makes Melbourne special, and they’re a mecca for street art fans! The best street art can be found in Hosier Lane, but many of the other alleys have street art too. 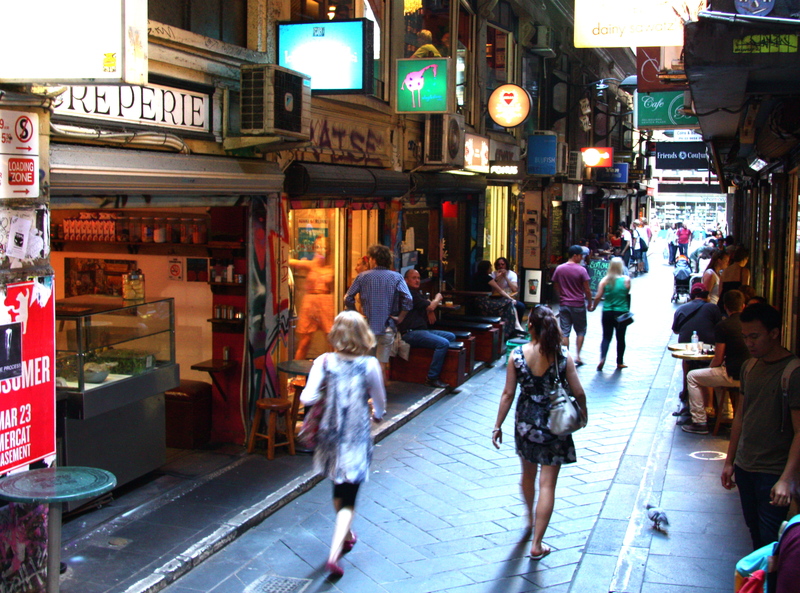 The laneways aren’t only for street art lovers, by the way: there are plenty of coffee shops, little restaurants, some boutique shops and galleries. 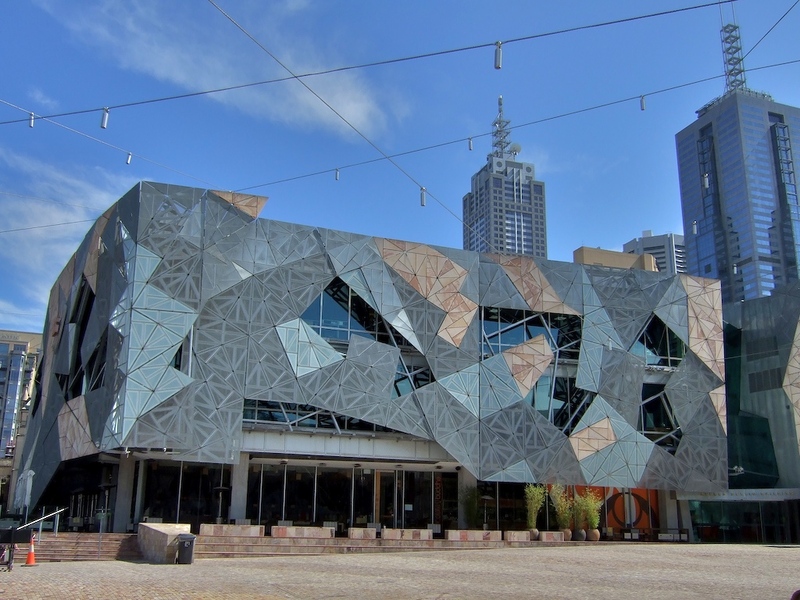 The best way to explore the laneways is by picking up a map of all the alleys and arcades from the Visitors Centre in Federation Square. 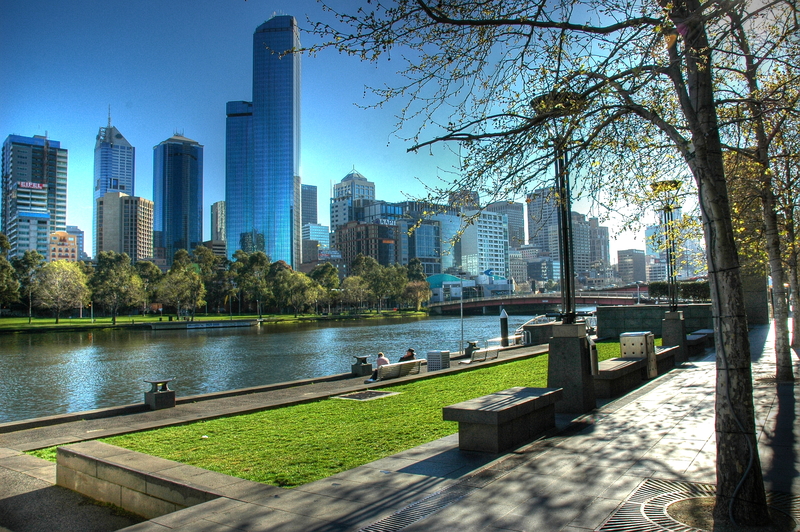 Melbourne’s Royal Botanic Gardens stretch over 35 hectares not far from the city center, near the Yarra’s South Bank. They are well-known far beyond Australia and even if you are not a huge fan of plants and flowers – you can still spend a relaxing afternoon there. The gardens are open from April to October from 7.30am to 6pm and from November to March from 7.30am to 7pm. Melbourne has a lovely skyline, and the best way to see it is, well, from above! Luckily there are several rooftop bars with splendid vistas, such as the aptly named Rooftop Bar, Naked in the Sky, or Madame Brussels. The drinks may not be free, but the views sure are (and worth paying for a drink). The Skydeck at Eureka Tower isn’t free – if you head to one of the rooftop bars instead, at least you’ll get a drink AND a view! 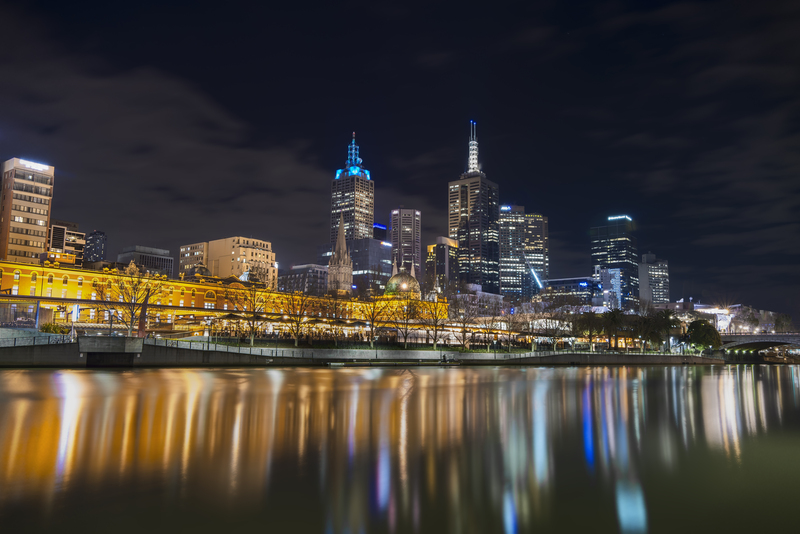 The Yarra River, which winds through Melbourne’s city center, provides the perfect backdrop for an interesting outdoor contemporary art gallery filled with paintings, sculptures and architecture. There are several impressive sculptures in the Central Business District, along the river and south of it, and I recommend saving this self-guided sculpture walk onto your phone and check out 19 stunning pieces of art along the way. The walk takes around one hour without any stops, plan in another hour to take in the art and to take photos. The Fitzroy Gardens are the perfect place for a picnic in the summer, and anyone who is a fan of city parks like New York’s Central Park or London’s Hyde Park will love Fitzroy Gardens. You can get lost on the trails, marvel at the colorful flowerbeds, sculptures and fountains, sun bathe on one of the vast lawns, visit the miniature village. Make sure to find the scarred tree and the Fairies’ Tree! This is especially important for those looking to buy or rent a campervan, and even more so if you are planning an extended trip and will be traveling with your vehicle for a while. Most travelers opt for a used vehicle and then sell it again at the end of their trip. 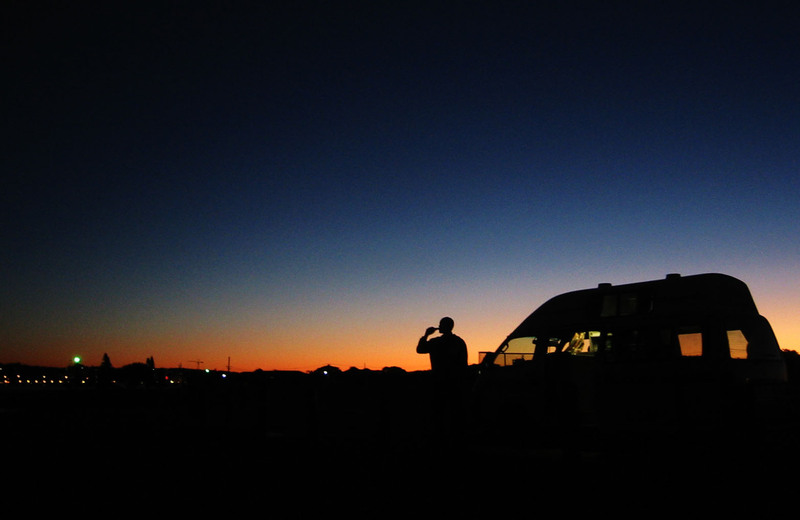 If you decide to buy a vehicle, I highly recommend this detailed guide on buying a campervan in Australia by Anna of Global Gallivanting. It has all the information you need on how to find a campervan, what to consider when buying one, everything you need to know about paperwork, registration and insurance, how to sell it afterwards, and much more. Once you’ve bought the vehicle, give yourself a few days to familiarize yourself with the vehicle before setting off on your road trip. Make sure that the car is in great shape, that things like oil and windshield cleaner water are filled up. Purchase a couple of extra bottles each in case you run out in the Outback, where gas station charge more for these items than shops in big cities. Depending on the nature of your trip (camper van vs car & tent) it is absolutely essential to plan your trip in detail – what kind of equipment do you need? How much food do you need to travel with? 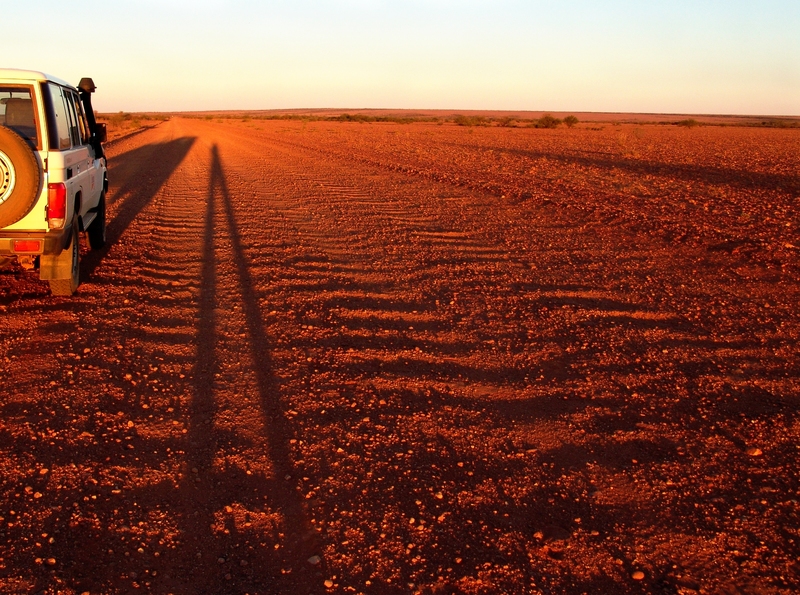 If you’re visiting remote areas such as the Outback it is necessary to pack enough food to last you for a few days, and it is best to purchase all the essential items (things like spices, tea, instant coffee, oatmeal, pasta, etc) you’ll want for your trip before you hit the road. No matter ff you decide to go camping or rent a campervan, Gearware.com is the best website to read gear reviews and find the best of everything: tents, sleeping bags and sleeping bag liners, camping chairs and stoves. As for camping equipment, make a list of everything you need and go on a shopping spree. If you don’t want to buy new gear, check out websites like Gumtree for used gear. Depending on if you are traveling with a tent or campervan your needs for equipment will vary, but there are a few things you’ll need either way, for example a first aid kit, bug & fly repellent, sleeping bags (or sheets), lights (solar lights are great), dishes and cookware. To save money when buying your essential equipment, head to Dollar Sense, a popular Australian discount store. 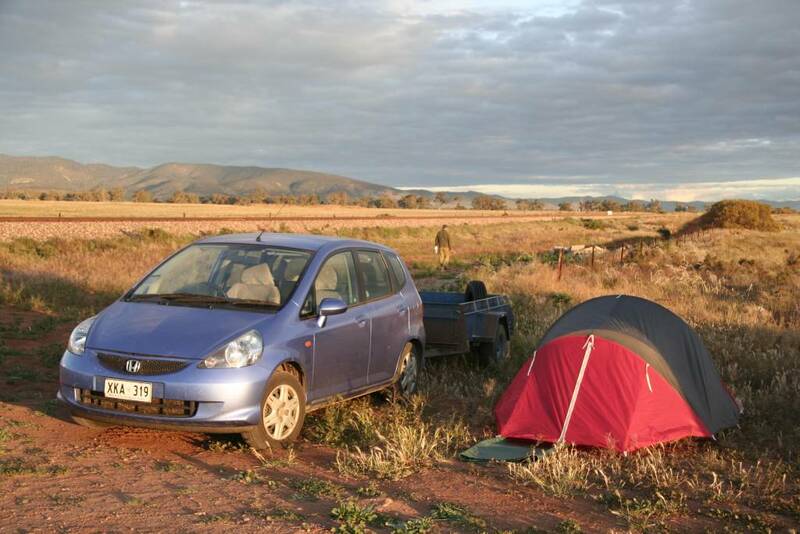 If you’re traveling with a car and a tent, do a test run and set up your tent before leaving on your trip. Even better: testing it before you buy it – go inside, lay down, see how big it really is and if it’s comfortable for you and your travel companion(s) – remember that you’ll have to spend the next few weeks or even months in it. I know that it is tempting to simply head out and hit the road, but since much of Australia is sparsely populated and distances are greater than most people anticipate, it is important to map out your route before starting your trip. Mark things like supermarkets, gas stations and camp grounds on your map – you might drive by one and then realize hours later that you should have stopped there. Not being prepared can result in some frustrating situations. Make also sure to add some extra time to GoogleMaps’ (or whatever route planner you’re using) estimated duration of the trip. 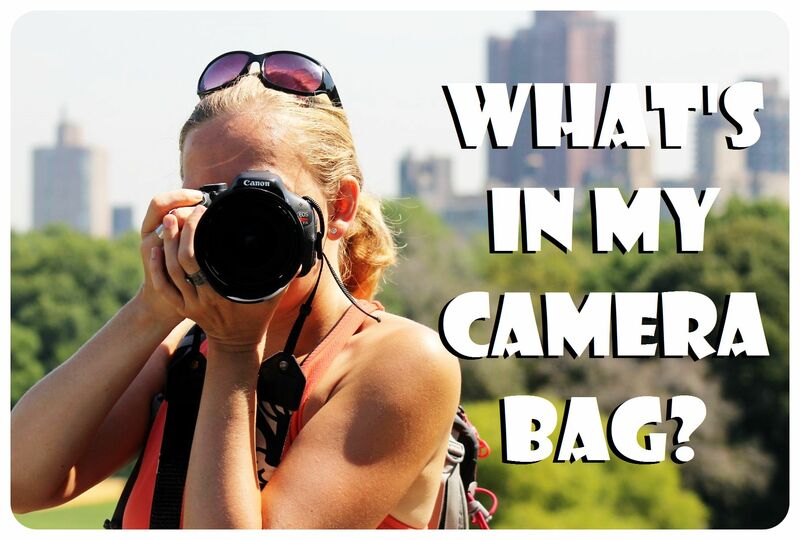 It’ll definitely take you longer, since you’ll be stopping along the way for photo ops and maybe even short hikes. Plan your daily drives realistically – don’t try to fit in too much, or you’ll tire out quickly. I’d suggest investing in a travel guide, such as Lonely Planet (which has suggested itineraries and detailed maps) or The Ultimate Australia Travel Guide By A Traveler For A Traveler: The Best Travel Tips; Where To Go, What To See And Much More or at least a good map of Australia, like National Geographic’s Australia Adventure Map. That way you can visualize your trip better and you’ll get a ton of practical information as well as details about the National Parks you’re visiting and sights you are passing. Also download some useful travel apps, such as Wikicamps, the largest and most up-to-date database of campgrounds, caravan parks, backpacker hostels, day use area and points of interest. The Free Wi-fi finder app is also useful for campers to help you plan your next stops and to avoid paying for wi-fi. 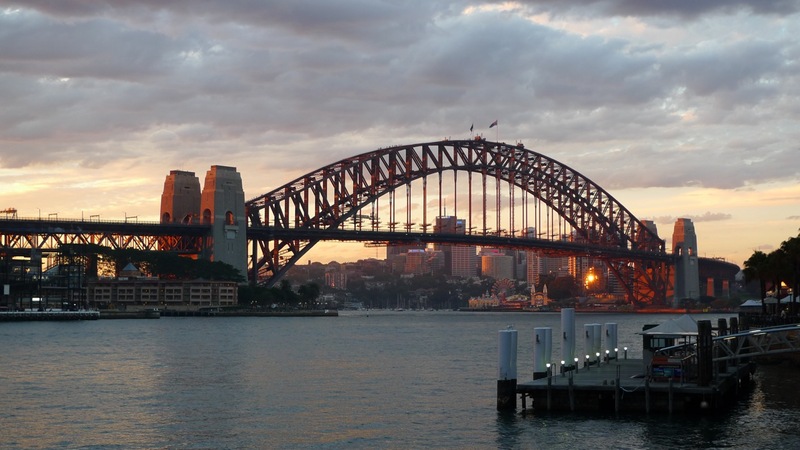 Traveling in Australia isn’t cheap, but there are plenty of ways to save money. Investing in a Lonely Planet will help you find out about all the costs you’ll have on your trip, from national park admission to campsites to sights. Being able to calculate your daily costs is key to make sure you don’t run out of money before the end of your trip. 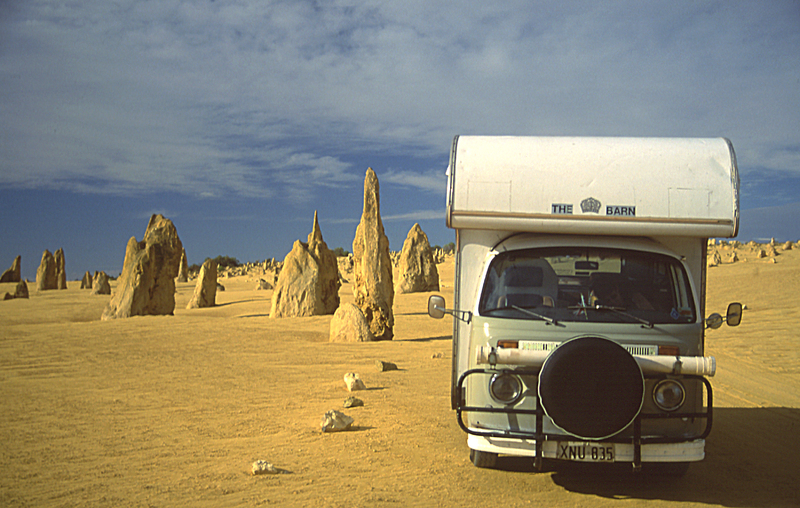 Traveling by camper van around Australia is actually the cheapest way to see the country! Research ways to save money during your trip – shopping at discount grocery Aldi is a good start, for example, or using apps, as I’ve already said in #3. There are also some apps that help you save money, like The Happiest Hour app to find drink, food and cocktail specials in your current location or Fuel Map Australia, a crowd-sourced fuel station & fuel price finder, to find cheap gas. 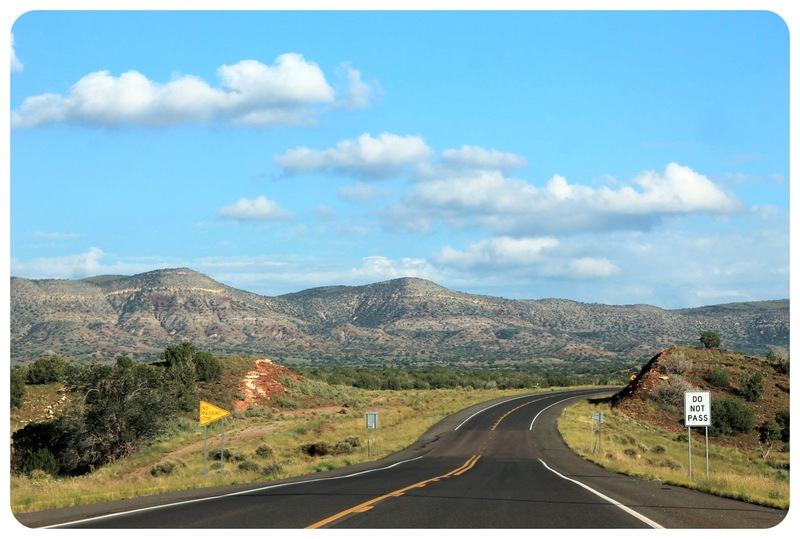 Once you hit the road, you’ll quickly notice that it’s not easy to stick to your original itinerary. You’ll want to spend an additional day in some of the national parks, you’ll want to take a rest day, some of your activities might get rained out. It is nearly impossible to stick to your plan – but don’t stress out over it, let the road lead the way for you. And if you meet other travelers who suggest places to visit that are not on your itinerary – if they sound good to you, you should visit them. Personal recommendations are often the best ones, especially those from locals. Photo credit: All images used under Flickr’s Creative Commons Licensing. (1) Purnululu by Roderick Eime; (2) Campervan in The Pinnacles by Tony Spencer; (3) Camping in Australia by David Clarke; (4) Stockton, Australia by anonphotography.com; (5) Australia by Curtis Foreman; Outback by krheesy; (6) Kata Juta by Georgie Sharp. Did you know Melbourne had a subterranean city? There are over 900 miles (1,500 kilometers) of storm drain tunnels, constructed by ANZAC (the Australian and New Zealand Army Corps) and discovered by chance by some civilian dwellers in 1986 who now call themselves ‘Cave Clan’ and hold regular meetings in the underground tunnels. These drain tunnels are the perfect playground for urban adventurers – just be aware that not all of them are safe. If you’d like to peek inside one of the many drain tunnels, check out this article by Atlas Obscura which has a great overview over the main tunnels that can be visited. This is a fascinating side of Melbourne not many visitors get to see! I am sure most of you have heard of Hosier Lane, Melbourne’s famous graffiti alleyway, covered in street art, but did you know there’s an entire network of hidden laneways (also known as arcade ways)? Hosier Lane is a must for anyone who loves street art, but make sure to also check out a couple of the less colorful alleyways. A must for coffee lovers is Degraves Street (located across the road from Flinders Street Station) which is home to some of Melbourne’s best coffee shops, and cocktail lovers need to add Croft Alley to their places to visit in Melbourne, because it is here where you find The Croft Institute, a semi-hidden bar that is housed in a school science lab-themed space in Chinatown and offers some of the most innovative cocktails in the city. Foodies will love Hardware Lane with its amazing eateries and bars in a remarkable setting (beneath the facades of 1900s warehouses) and hard rock fans must visit AC/DC Lane, which is where they filmed their classic 1976 music video ‘It’s a long way to the top (If you wanna rock’n’roll), and where you now find the famous live music venue Cherry. This walk takes around two hours – plan in around 3.5 hours for the entire walk including coffee stops, and maybe a little longer if you want to linger for a while at Ponyfish Island (they do not only have coffee but also great drinks). For a shorter coffee walk, start at Brother Baba Buda instead of Heartattack and Vine – that one is just over 3 miles (5km), around 70 minutes walking time. Melbourne’s rooftop cinema is hugely popular with the locals, but not many tourists make their way up on the rooftop of Curtin House (252 Swanston Street, between Lonsdale and Little Bourke Streets) to enjoy the screening of a classic, such as Stand By Me or Casablanca, an art house or a recent blockbuster in a stunning location in the middle of the city. 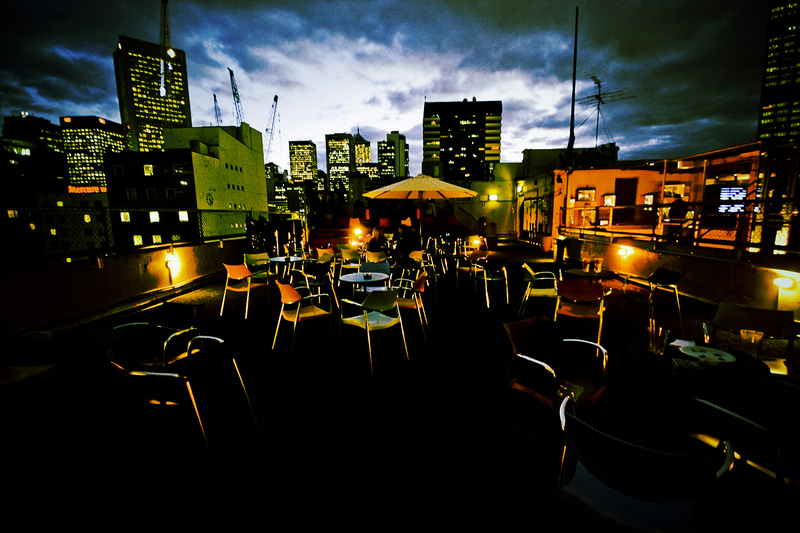 The setting is fabulous – deckchairs to lounge in, Melbourne’s skyline as a picturesque backdrop, and cocktails and fast food enjoy at the rooftop bar. This is a movie experience you won’t forget anytime soon – you can check out their program here. If you are traveling around Victoria by car, you might want to check out Melbourne’s first rooftop drive-in cinema, which just opened. It fits 65 vehicles and sits atop the atop the Harbour Town precinct (90 Waterfront Way, Docklands) and offers fantastic panorama views over Melbourne’s skyline. It is one of a very small number of drive-in cinemas in Australia, making it an especially unique experience. 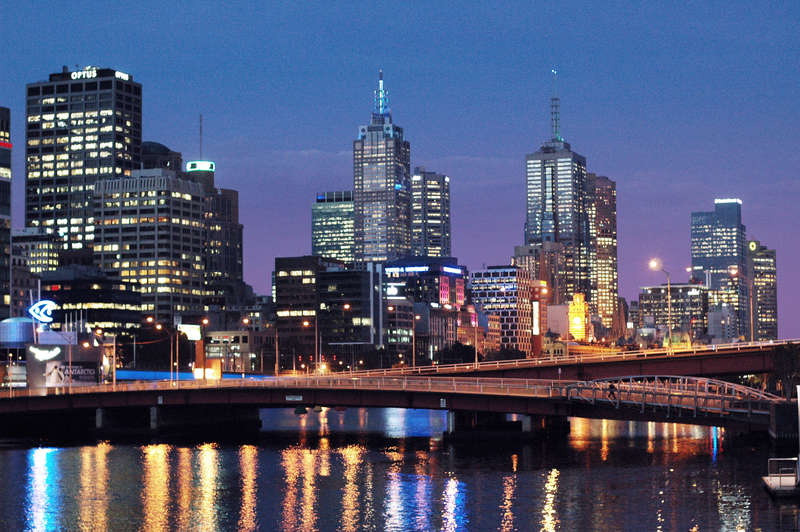 And last but not least: get a bird’s eye view of Melbourne. 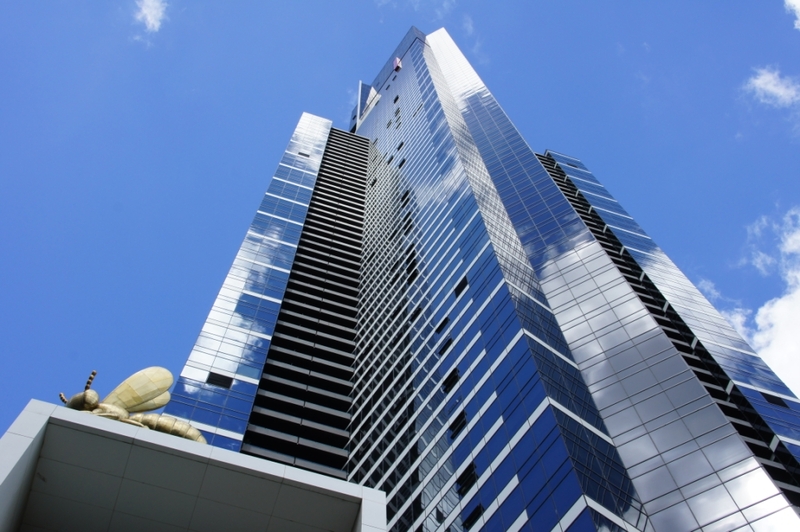 The tallest building in the city is the 88-floor tall Eureka Tower, which is home to the highest observation deck, Eureka Skydeck 88, the highest public vantage point in the entire Southern Hemisphere, by the way! If you’re brave enough, you can step out on ‘The Edge’, a switchable glass cube which slides out from the building, with you inside. 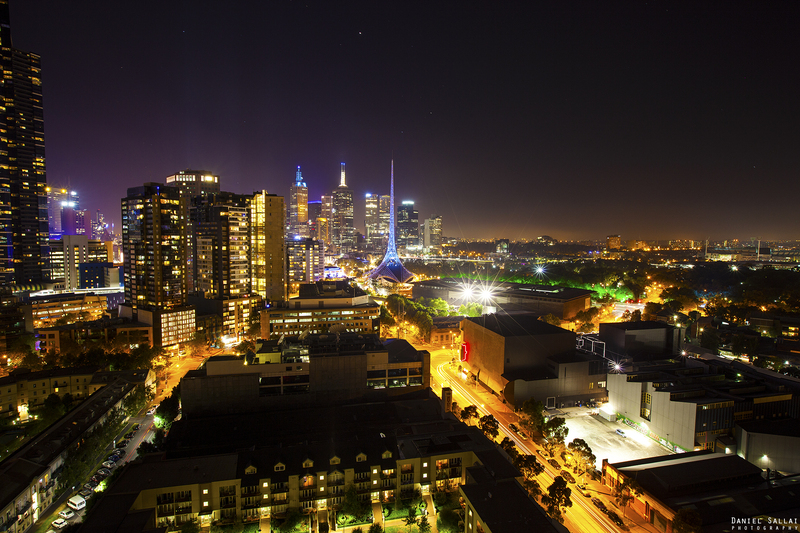 Another fantastic place to see Melbourne from above is the observation deck of the Rialto Towers. These adjoined skyscrapers are Melbourne’s second highest buildings, with the higher one standing 830 feet (253 meters) tall. The top floor is occupied by the fine dining restaurant Vue De Monde – a gorgeous setting for a dinner to celebrate a special occasion. 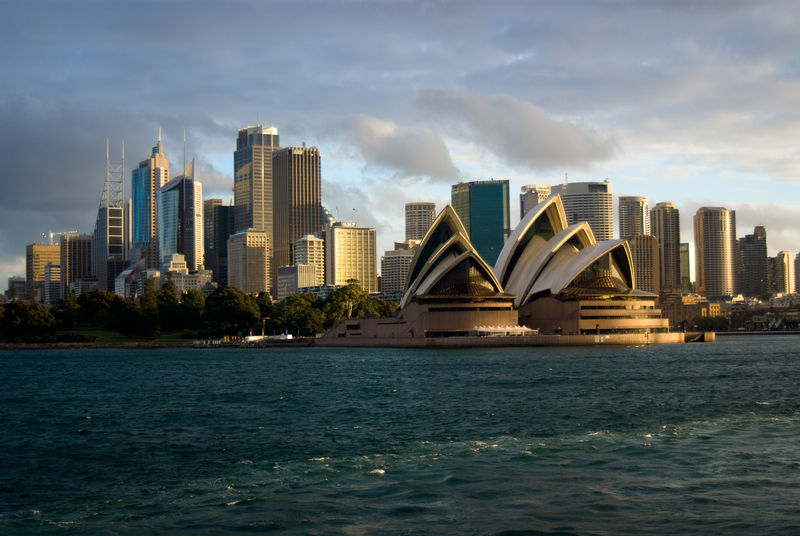 When people talk about Australia, you always hear them rave about Sydney and Melbourne. But what about Brisbane? Queensland’s capital is one of the most underrated cities in Australia, even though it offers a plethora of reasons to visit. 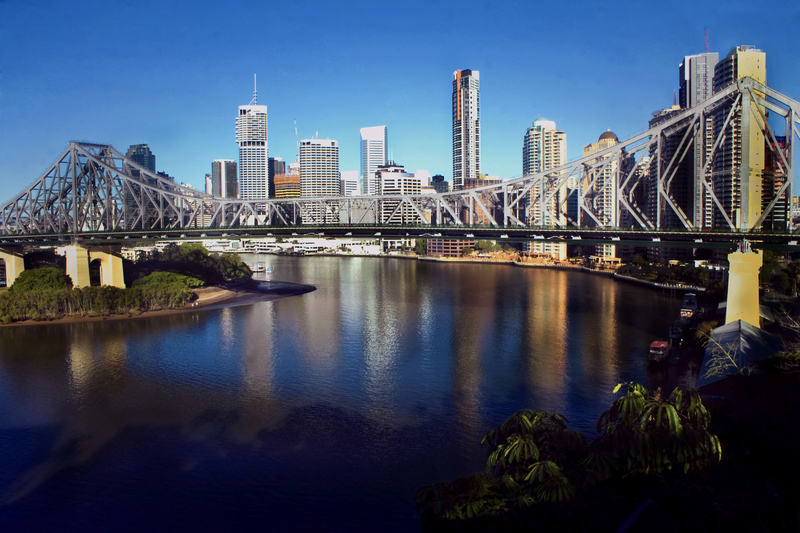 Brisbane is a river town with a vibrant nightlife, a booming art scene, a gorgeous riverfront, as well as a fantastic restaurant and coffee shop scene. It is also the jumping off point to experience the Sunshine and the Gold Coast, and in driving distance of the Granite Belt wine region, extraordinary wildlife spots (including the biggest koala sanctuary in the world! ), a wide array of cycling paths and hiking trails, plus cliff climbing and abseiling spots. Still not convinced include Brisbane into your Australia itinerary, book ticket to Brisbane and a Brisbane hotel? The Gallery Of Modern Art is one of the country’s best art museums and focuses on Australian modern art (from the 1970s to today). In addition to the permanent exhibits you find a number of often changing and cutting-edge exhibits here that include video installations, photography, film, sculptures and of course paintings. 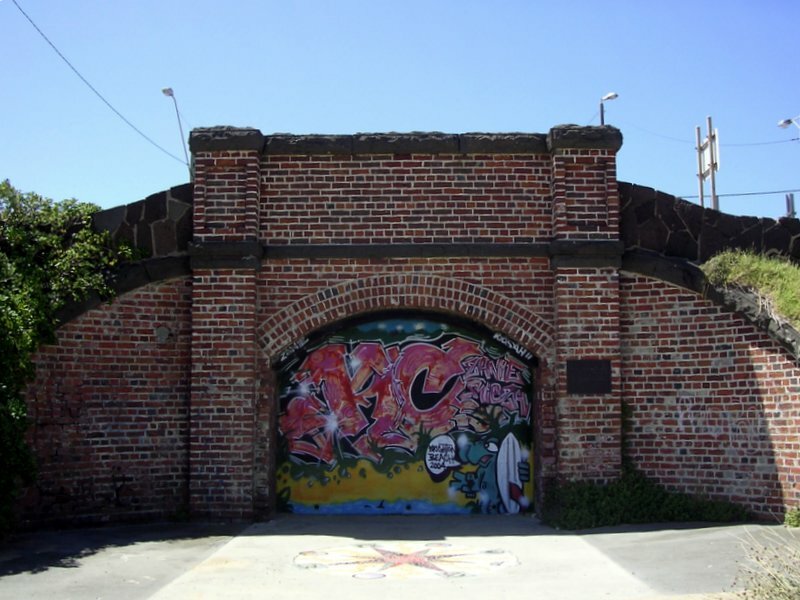 Art lovers will also enjoy the Brisbane Powerhouse, a former power station that has been turned into a contemporary arts center, including graffiti art, performing arts, art festivals and visual arts including pieces of the industrial lights and machinery from the power station’s old electrical transformers. In addition, you find a rooftop terrace here, a bar and restaurant, green spaces and a performance theater. But there are plenty of other galleries – you can find a list of the ten best Brisbane art galleries here. One of the best things about Brisbane is its vibrant city life. The South Bank of the Brisbane City has been improved considerably over the past few years, and now you can take in life music here, take in the stunning river sunsets, window shop in Little Stanley Street, enjoy the free art. The Collective Markets are held on Friday evenings and weekends in Stanley Street Plaza and focus on local designers, art and jewelry – a must-do on a visit to Brisbane! On Saturday morning, the West End Markets in Davies Park are buzzing with joyous shoppers and on Sunday morning, the riverfront docks area north of the CBD (what Brisbane’s city center is referred to) turns into a craft market. Stroll along the riverfront and you’ll pass cute cafes and restaurants with fantastic river views and excellent food – and coffee, of course. If you are a fan of nature and wildlife, you will love Brisbane: there’s the Lone Pine Koala Sanctuary, the largest koala sanctuary in the entire world, only a 15-minute drive from the city, with over 130 koalas which are just waiting to be cuddled, and kangaroos waiting to be fed. Then there’s Mount Coot-tha, the tallest mountain around Brisbane with splendid views. You also find the (free!) Botanical Gardens here. The hike to the peak is strenuous, but the vistas over Brisbane are rewarding – make sure to bring a picnic up here! Other places for nature lovers include D’Aguilar National Park which includes a wide range of hiking trails and the East Queensland Wildlife Centre (with turtles, pythons, lizards and other animals), New Farm Park, a park that is famous for its jacaranda trees (particularly worth a visit in the spring, when they’re carrying their purple blossoms) and the vast rose gardens as well as the Roma Street Parklands, which are the biggest subtropical gardens in a city center and home to more than 1,800 plant species. And the best thing: admission is free! If you are a music lover, you’ll love Brisbane, which was named as one of the Top 5 hot spots for music by Billboard Magazine. There are more bars, pubs and music clubs in Brisbane than anywhere else in the world and the city’s live music scene is fantastic. 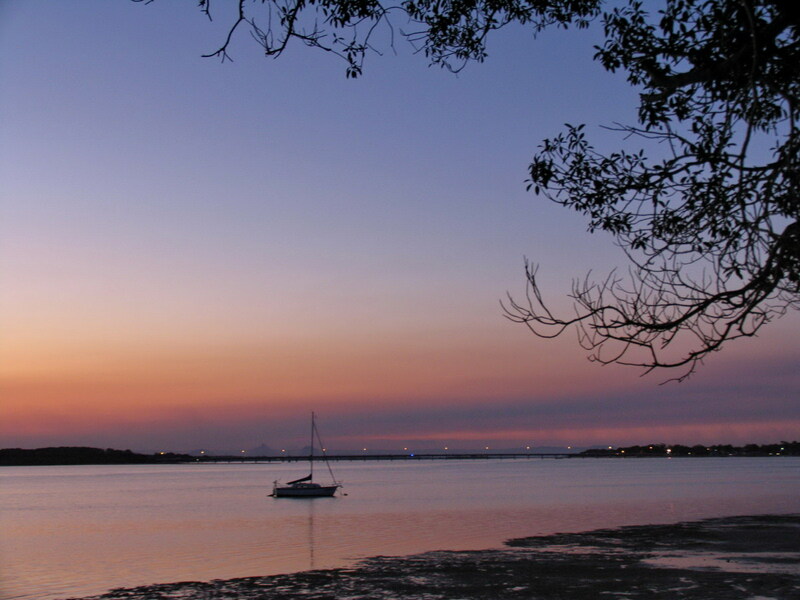 For some great live music events, head to Max Watts, The Triffid, The Tivoli, The Zoo, and The Underdog Pub Co.
Brisbane sits in the center of Moreton Bay, which is a paradise for wildlife lovers. Here you find beautiful sandy beaches and you have the chance for breathtaking wildlife spottings: turtles, whales and dolphins are spotted here regularly! 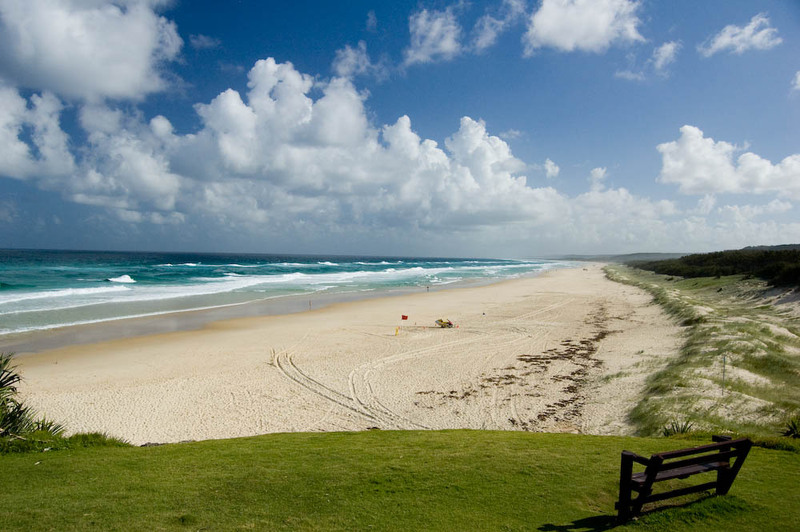 365 islands are scattered across the bay, which stretches from the Gold Coast to Caloundra, and the most popular ones are Moreton Island, where people head to feed dolphins, and North Stradbroke Island, which is known for its good surf and pretty beaches. Considered as the signature city of Queensland and the gateway to the Great Barrier Reef, Cairns is certainly a treat for all tourists visiting Australia. With a vibrant culture and pleasant weather, anyone visiting the city is instantly entranced by its charm and surreal beauty. The majority of tourists opt for a car hire in Cairns to access Port Douglas which is less than 45 miles away. People love the town for its picturesque beauty and adventure activities. However, the most attractive feature of Port Douglas is the Port Douglas Carnivale, which starts from 12th May and runs for ten days until 22nd May. 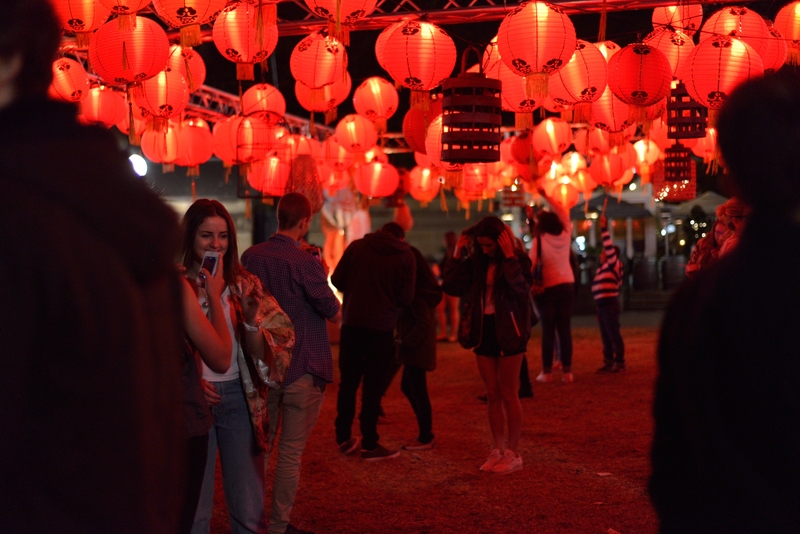 The 10-day carnival will be marked by a whole range of events and festivals for music, art, food, wine and various other entertainment shows. Families and visitors in the city will drive down to experience this one-of-a-kind event. Witness the sand taking the shape of unique designs and images in the hands of trained artists on Beach Day. The Kite Festival is also conducted on the Family Beach Day with the young and old flying giant kites in the air. This one is an absolute must for those travelling with kids. The Macrossan Street in Port Douglas will appear in all its glory on the evening of May 20th where young artists will perform various forms of arts along the street. The theme of the Macrossan Street Parade for 2016 is “The Wonders of the Tropic”. The parade, which is a significant part of the carnivale, will attract hundreds of families with fireworks and gastronomic treats in an authentic tropic style. 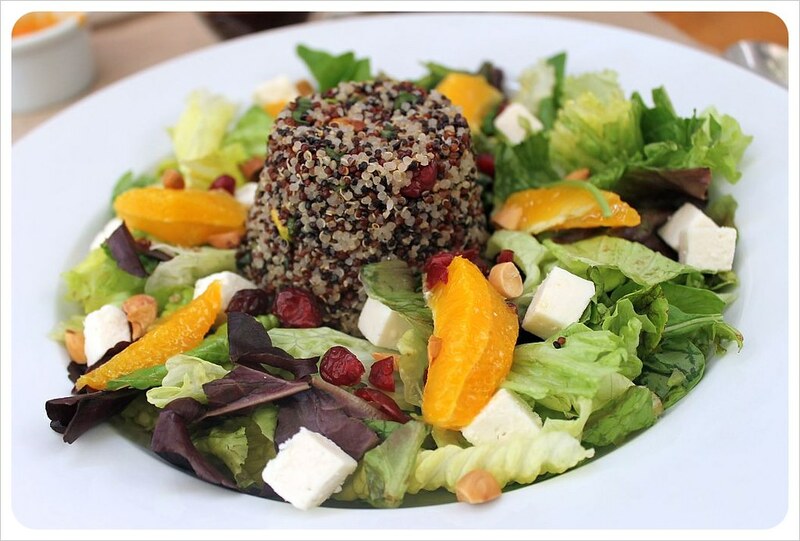 The Port Douglas Carnivale is never complete without great food and outstanding wine. The Port on a Fork event will be held for the very first time this year to showcase some signature dishes of the coast. Each dish will be made from local fresh produce and will be accompanied by a great range of wine varieties. 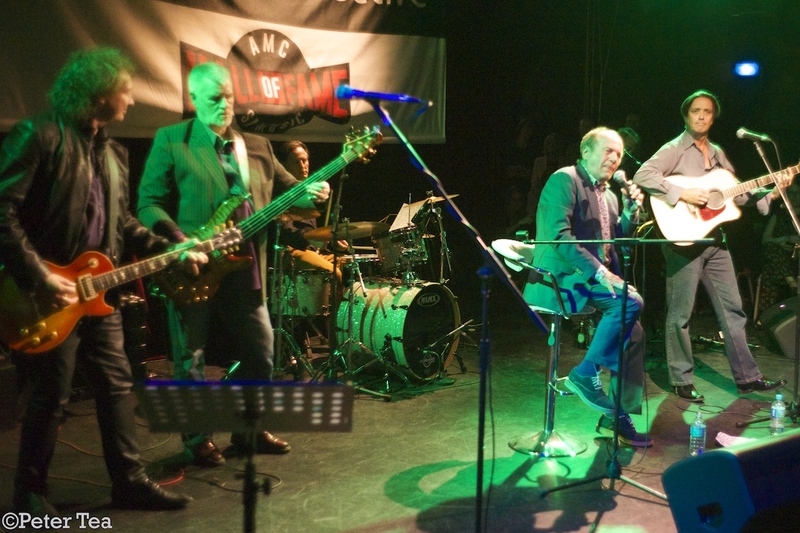 Renowned musicians and bands like Joe Camilleri and Black Sorrows will also be joining the event. The evening is expected to be the ultimate evening of beautiful music, sumptuous food and great wine. Enjoy dining under the palms with an extended dining experience, aptly named, Paradise on a Plate. A fantastic treat for all food lovers, it will be a gourmet delight of land and sea fare. Lunch will be served on a long table with 4-course meals that will wow every food lover. Photo credit: All images used via Flickr’s creative commons licensing. Boats in Port Douglas by Michael McGimpsey; Port Douglas Beach by Jervis_Pics. 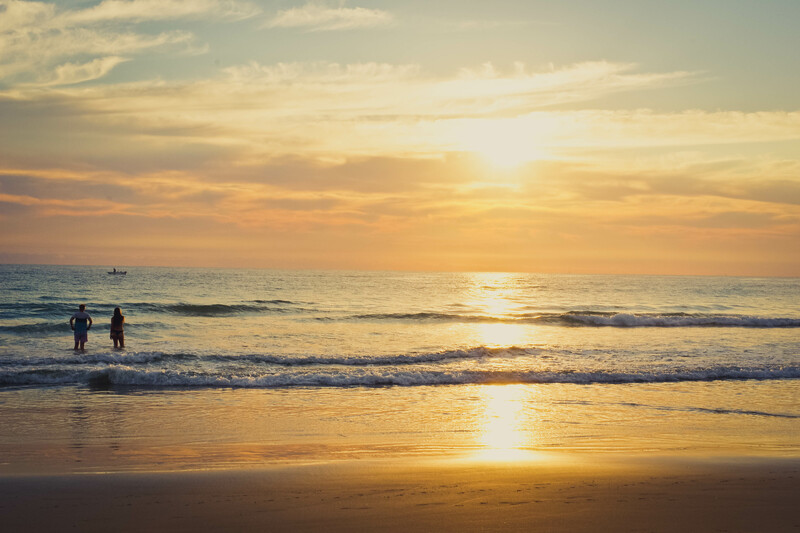 The breath-taking Gold Coast is undeniably one of Australia’s most incredibly beautiful destinations – filled with stunning vistas, sparkling blue water stretching to the horizon and characteristic namesake golden sunsets and beaches. Undoubtedly one of the best ways to see it is to drive it yourself – and at Drive Now, we know all about making the most of some of Australia’s most iconic road trips. 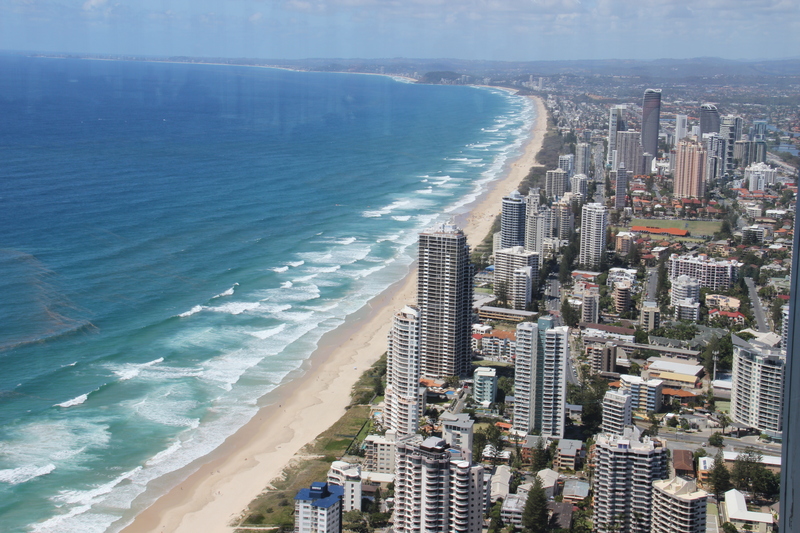 There are several different routes you can take – and lots of sights to see along the way – so here’s our pick of Gold Coast tours for first-time road trippers and for those who love the road less travelled alike. Why not put some of these routes on your next trip itinerary and see what you make of the routes we’ve chosen? The best of both worlds – hug the stunning coast and sample the long beaches filled with soft white sand, whilst heading inland at intervals to drink in the stunning scenery and see a few essential sights along the way, too. 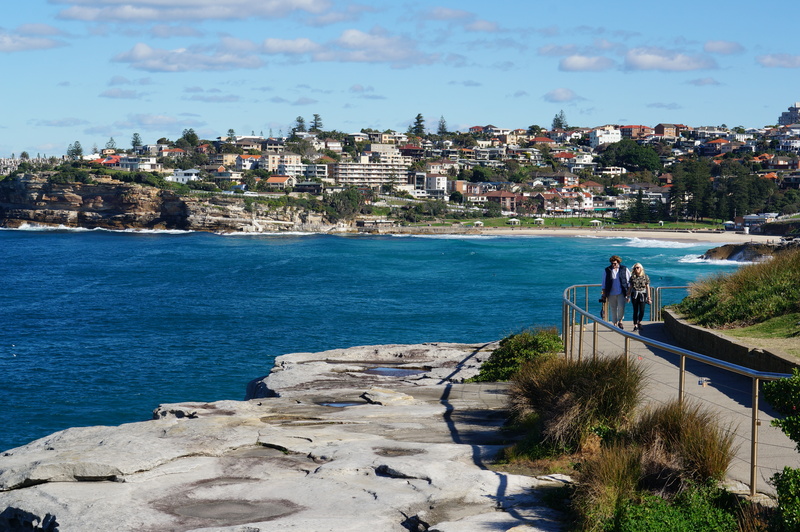 By the sea, Surfer’s Paradise is a must-see with its incredible beachfront and promenade markets; along with beautiful Byron Bay and Mermaid Beach. Further inland, there are lush rainforests and wildlife parks to explore. This area is also a foodie’s paradise – with fresh local produce on the menu at every turn. Sit back and relax in the lap of luxury around Main Beach, with its sparkling yacht-filled marina and bars and restaurants selling fresh seafood and local cuisine.If you’re into wine, take a turn inland and head to one of the many vineyards offering tours and tasting, like Canungra Valley Vineyard near Canungra Creek. If you’re feeling especially adventurous, you can hire boats or survey the area from a breath-taking aerial perspective in a hot air balloon. This route is perfect for families. You can get on the Tourist Trail and experience the best of what Gold Coast has to offer straight out of the pages of a holiday brochure or magazine.Why not start off at glamorous celebrity hang out Main Beach, with its glittering beach, exclusive boutiques and top-notch restaurants and then leisurely make your way down to Burleigh Head via Surfer’s Paradise and Mermaid Beach, hugging the coast on the main roads and highways.You’ll be spoiled for choice along the way between the magnificent National Park at Burleigh Head, the buzzing vibrant energy and laid back vibe at Surfer’s Paradise, fabulous shopping and fantastic theme parks such as Sea World and Wet n Wild Water Park. It’s a trip that will suit both the dreamer and the action-oriented traveler – there really is something for everyone! Go off the beaten track and really explore the surrounding area and the hidden gems of Queensland such as Springbrook, Lamington National Park and Mount Tambourine. For nature lovers, there are endless deserted beaches and untouched coves to discover like Fingal Head, and parks and rainforests to hike through in the midst of nature. The O’Reilly Forest in Hinterland is great for avid naturalists, with gushing white waterfalls and leafy forest filled with rare species and exotic birds. You can also find stunning sanctuary even in the city by taking the Panorama Drive off the Pacific Highway to catch incredible views over the coast and the Hinze Dam. 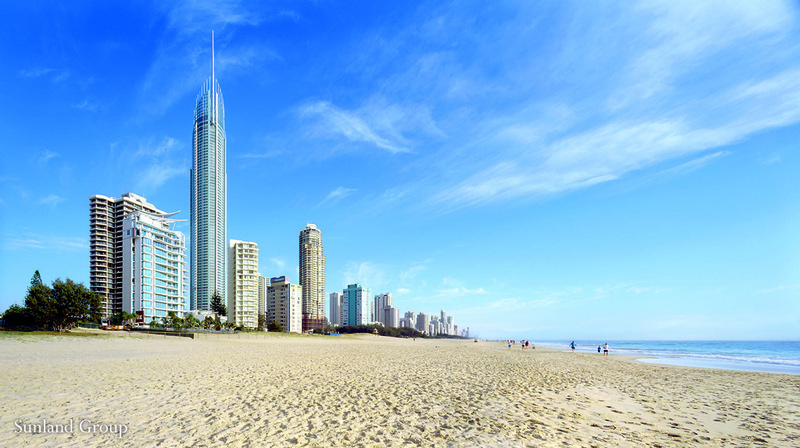 If you’re considering taking the trip of a lifetime along the Gold Coast or anywhere else in Australia, you need to ensure you’ve got the right vehicle for the job, whether cheap Sydney RV’s or luxurious motor-homes to spend a few weeks in, so book your vehicle, pack your stuff and head off to the Gold Coast on one of our fabulous route suggestions. We can promise you won’t be disappointed! Photo credit: (1) Gold Coast by Gary Bembridge ; (2) Gold Coast Surfers by sirraychen; (3) Burleigh Heads by Paul D’Ambra; (4) Small beach by Fá e Cá. All images used via Flickr’s Creative Commons Licensing.